Duncanville’s finest turned out to attend Celebrate Duncanville January 17. The annual gala was held at Hilton Garden Inn. The climactic highlight of the evening came when last year’s Man and Woman of the Year winners, Dale Ward and Phyllis Lambert, announced the 2018 Man and Woman of the Year. 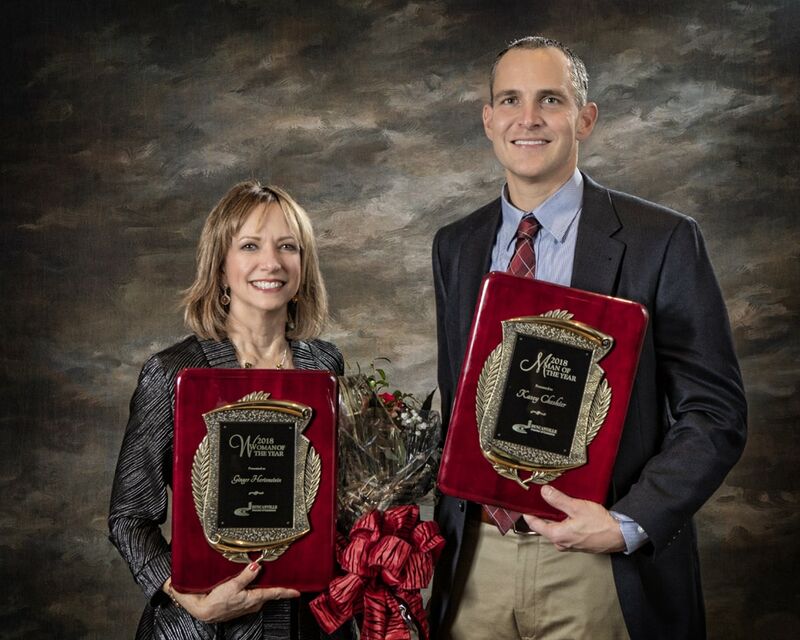 Kasey Cheshier, longtime Marketing Director for Ben Franklin Apothecary and Kitchens Deli, was named Man of the Year. Cheshier has served as Board Chair for Duncanville Chamber of Commerce and President of Duncanville Noon Lions Club. Ward said Cheshier “has been an ambassador for Duncanville since his high school days.” He was All-State offensive lineman for his 1998 DHS football team that won state championship title. Since then, Cheshier has been involved in numerous civic organizations, as well as organizing events like the Heart of Duncanville 5K to benefit Duncanville ISD Education Foundation. Finalists for 2018 Man of the Year included Jerry Frazier, Tom Fowlston, Jerry Keltner, and DPD Officer Doug Sisk. Dr. Ginger Hertenstein was named Duncanville Woman of the Year for 2018. For the past eleven years, Dr. Hertenstein has served as lead pastor of First Presbyterian Church, Duncanville. She received a Doctor of Ministry from Fuller Theological Seminary in Pasadena, California. Born in Shreveport, Louisiana, Dr. Hertenstein has lived in many major cities including Los Angeles, New York City area, Washington D.C., and Kansas City before moving to Duncanville. 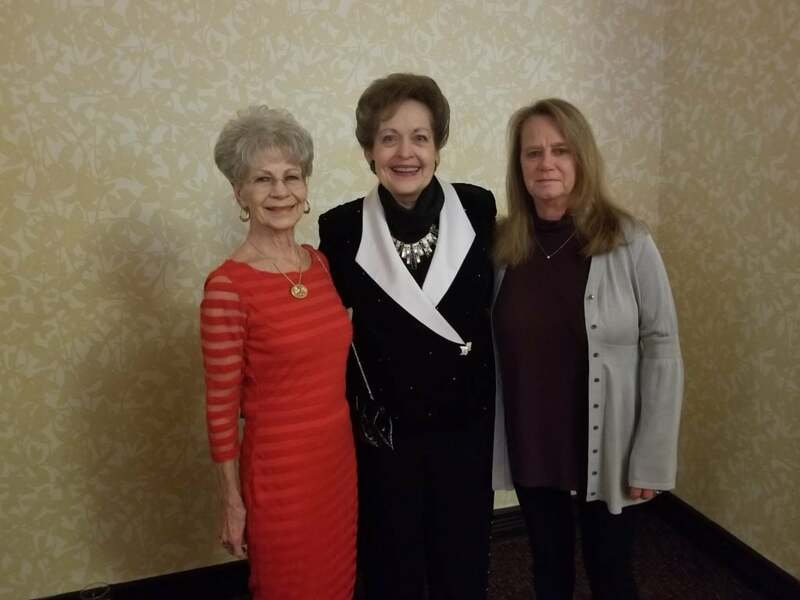 Finalists for Woman of the Year title included Jane Moore, Gayle (Brandenburg) Bailey, and Betty Dunn. Following dinner, the awards program was emceed by Terry Webb, retired Duncanville Fire Department Chief and former Man of the Year recipient. Ron Jones provided musical entertainment on the saxophone. Dr. Marc Smith, Duncanville ISD Superintendent, talked about their achievements during the past year. Dr. Smith also introduced his board members and staff members in the audience. Duncanville Mayor Barry Gordon gave his State of the City address and introduced the City Council members and staff in attendance. He then presented the Mayor’s Awards of Excellence to two recipients for 2018. The awards went to GK Steel Fabrication, LLC; and La Mexicana Tortilla Factory. State of the City sponsors were the City of Duncanville; A V Pro, Inc.; Duncanville Chamber of Commerce; Duncanville Economic Development Corporation; Duncanville ISD;, Duncanville ISD Education Foundation; Duncanville United; Frost Bank; Republic Services; and First Presbyterian Church. 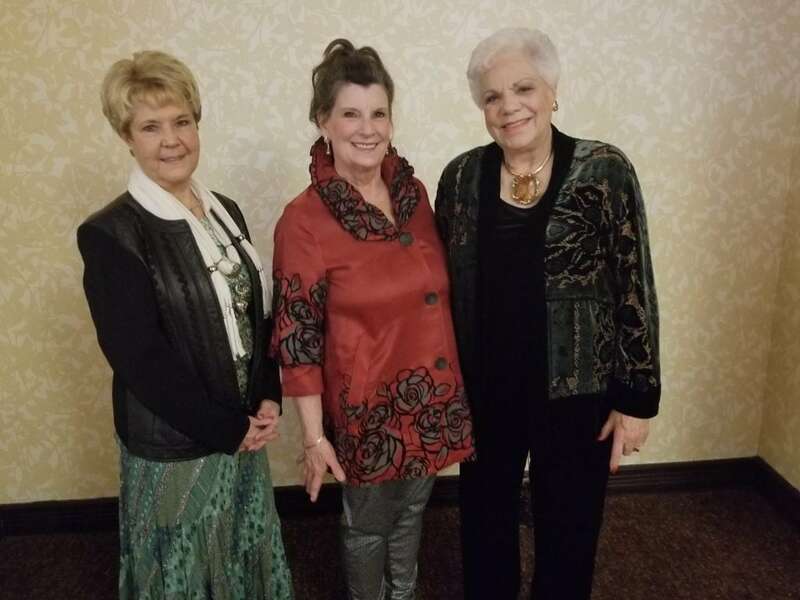 Linda Dean-Miley, Duncanville Chamber 2018 Board Chair, took the podium to present a number of Chamber awards. The Chairman’s Award was presented to Past Board Chair Tommie Raines for his willingness to volunteer wherever needed. 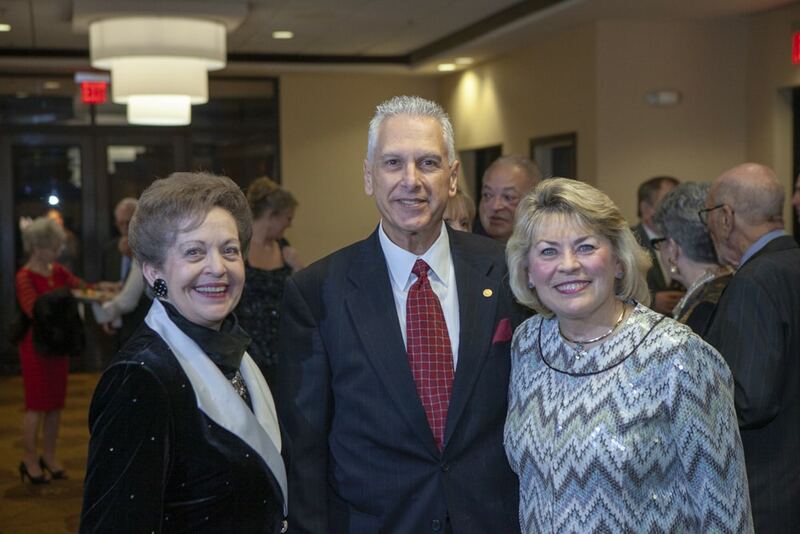 Ken and Pat Weaver received the Chamber’s Pioneer Award, while Linda Dean Miley received the Entrepreneur Award. Herb and Betty Doller of HB Photographic Imaging received the Chamber’s Member of the Year award. Dustin Dauenhauer, account executive at Southwest NOW Magazine, received the Newcomer of the Year award. 2019 Board of Directors for Duncanville Chamber of Commerce are Chairman Tim Maiden, Frost Bank; First Vice Chair Robyn Mota, Republic Services; Immediate Past Chair Linda Dean-Miley, Help to Heal; Dale Ward, Treasurer; Ken Weaver, Appointee; Jane Moore, Farmers Insurance; Raul Rios, City View Tacos; Stan Smith, Carl Overton Properties; Angela Barfield, Hilton Garden Inn; Tommie Rains, Ambit Energy Consultant; Dawn McCallum, Century 21 Judge Fite; Amy Jackson, Duncanville Community Theatre; Danielle Franklin, Sunflower Dentalp Stephanie Gary, Methodist Charlton Medical Center; Cliff Freeney, 1-800-Plumber; Sherry Kennedy, ProForma A-Z Specialties; Sherri Ten Hagen, Ten Hagen Excavating; Dr. Marc Smith, Duncanville ISD; and Kevin Hugman, Duncanville City Manager. Chamber President Steve Martin announced the next Duncan Switch Street Market will be February 16. Named after the railroad switching tracks and train depot that helped found the city, the Duncan Switch Street Market is held on the third Saturday of each month from 9 a.m. to 3 p.m., at the intersection of Main and Center Streets in Downtown Duncanville. Shoppers can expect resell items, arts, crafts, entertainment, a kid’s zone, food and fun. The Flavor of Duncanville Expo will take place from 4-8 p.m. March 14 at Duncanville High School. The public is invited to “See and Taste the Best of the Community,” with free food tasting with ticket admission. Adult tickets are $10; students and seniors (age 62) $7; and ages 5 and under free. Tickets available at the Chamber offices and Champions Cove. Call 972-780-4990 for more information or vendor applications. Next articleMcCowan Attends U.S. Mayoral Conference In Washington D.C.